Antique chandelier crystal pendant pale champagne color. 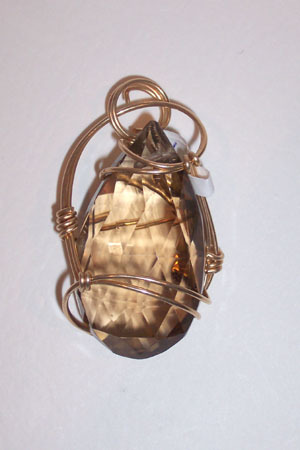 This crystal is a full cut almond sculpted in 14kt rolled gold. Measures 2.25"x1".75".